To provide and ensure quality and safe delivery of nursing services. To coordinate provision of nursing services to assigned Patients that reflects the Agency mission and standards. To ensure that nursing care services are provided in accordance with Federal, State, and local standards, guidelines, and regulations. 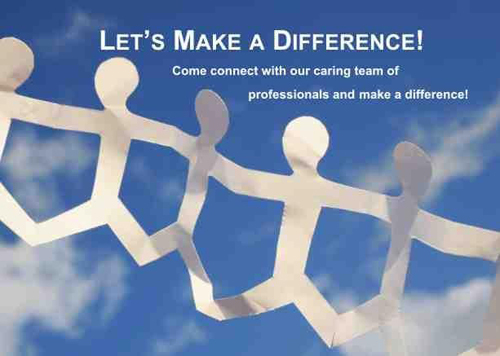 Demonstrate support for achieving the mission of the home health agency. Communicate with subordinates on a regular basis about project status and issues. Initial and ongoing comprehensive assessment of the client’s needs, including Outcome and Assessment Information set (OASIS) assessment at appropriate time points. Initiating the plan of care and revising as necessary. Providing those services and/or treatment requiring substantial and specialized nursing skill. Counseling the client and family in meeting nursing and related needs. Initiating appropriate preventive and rehabilitative nursing procedures. Preparing clinical and progress notes. Evaluating outcomes of care. Planning for the discharge from services. Coordination of services and referral of other services as needed. Maintain communication with physicians, family members and other agency personnel to adequately plan for and provide the patients’ needs. Supervising LPN/LVN’s and paraprofessionals providing services. Attend and participates in continuing education programs. Pull, push and or lift 15-20 pounds on a daily basis. Pull / push 125-200 pounds on a regular basis. Pulls/push 200 or more pounds on a regular basis. Is subject to falls, cuts bruises, aggressive patients, odors, chemicals, etc. throughout the work day. Is subject to exposure to infectious wastes, diseases, conditions, etc. including the AIDS and Hepatitis B viruses. Sits, stands stoops, squats, walks, and moves intermittently during work hours. Drives in own car to and from patients’ home. Work in patient(s) homes as well as agency office. Ability to cope with the mental and emotional stress of the position. As a Registered Nurse in this Agency, you are delegated the authority, responsibility, and accountability necessary for carrying out your assigned duties. Education: Currently licensed by the Tennessee Board of Nursing in this State. Experience: Minimum of one year in an acute care setting. Two years experience in Home Health preferred. Able to establish and maintain confidence of owners and employees. Must be able to solve problems independently and confidently by applying analytical and logical thinking. Able to read, analyze, and interpret reports, general business directives, policy and procedure statements, and governmental regulations. Able to write reports and correspondence at a professional level. Able to immediately respond to common inquiries and complaints from employees and regulatory agencies. Able to effectively communicate with individuals from diverse backgrounds and varying educational levels. Able to effectively organize and present information and respond to questions from employees and external groups of varying sizes.